International Game Technology or IGT, is a leading developer of slot machines, lottery systems and other casino games for land-based and online casinos. IGT was founded in 1971 and became one of the biggest names in the gambling world. The company was originally based in Nevada, however in 2014 it was acquired by GTECH for $6.4 billion and the main offices were moved to London. IGT is publicly traded on New York stock exchange under a similar name. IGT is the company behind few of the all-time most popular slots, such as Cleopatra, Star Trek and the eternal Wheel of Fortune. 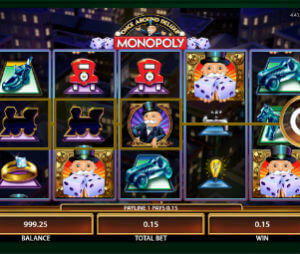 Here you can find a list of IGT slots which you can play free on SlotMachineOnline.co, no registration and no download required. When IGT decided to enter the online slot market they understood that it cannot be done without entering the mobile space as well. Therefore almost every IGT online slots are available on smartphones and tablets as well. Currently, IGT have over 50 mobile slots which you can play on every possible device – Iphones, Ipads, Android, Blackberry and Windows phone. Naturally, they started with their most popular slots, such as Wheel of Fortune, Cleopatra, DaVinci Diamonds, Cats, Wolf Run and others. Unfortunately, players from USA, Canada, Australia and New Zealand cannot play IGT online slots for real money.